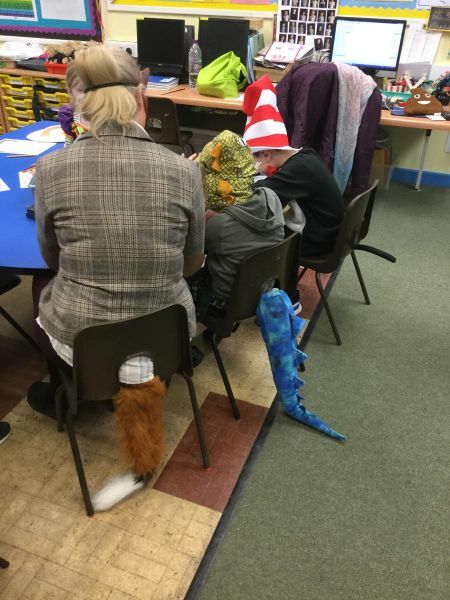 Book Week 2018 was a huge success despite it being cut short by the snow. 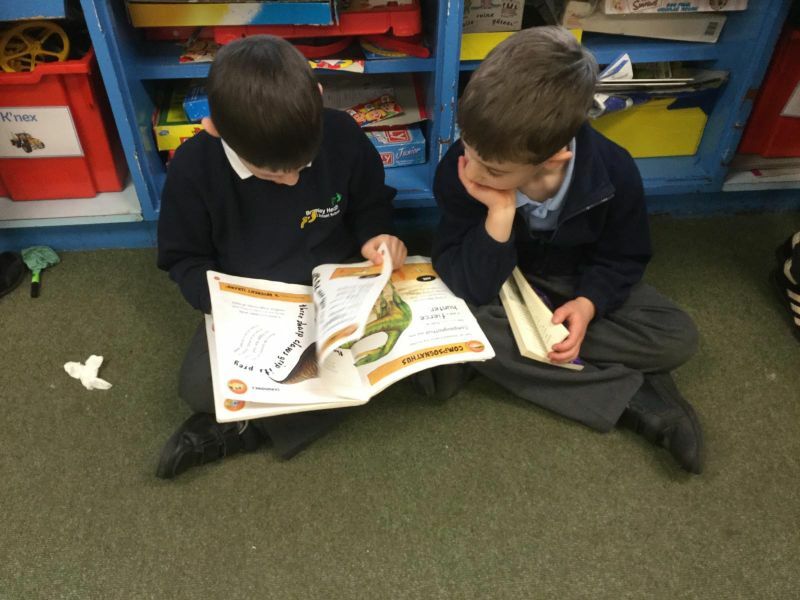 All of the children enjoyed all of the exciting events including a visiting storyteller, sharing our own favourite books, swapping teachers for story time and having a reading café! 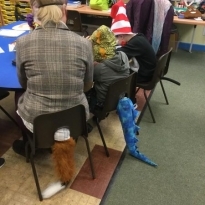 We would like to thank all of our families for taking part with enthusiasm and putting so much effort into creating fantastic World Book Day costumes. The School Council decided to donate the food we collected for harvest to the food bank at the Resound Centre in Mangotsfield. Some of the school council helped Mrs Long to deliver the food. They had the opportunity to see where the food was stored and were told how they decided how much food people get. The car was full of food. The food was taken upstairs in the lift. The food was placed in the storeroom. On Friday 13th October all children took part in a sponsored run/jog around the school field as part of the Move IT for Guide Dogs Week. 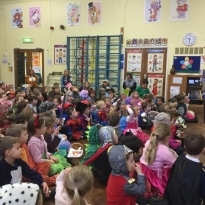 We started with a school Wake and Shake to get warmed up and then Foundation Stage children started us off with 2 laps around the field, cheered on by the rest of the school. Year One followed with 3 laps and then Year Two with 4 laps. We were supported by some local guide dogs Bonnie , Fizz and Murray and their owners who joined us by walking around the route. It was a lovely afternoon which benefited the guide dog charity and also helped us all to get active. We raised an amazing £1801.77. The Guide Dogs for the Blind charity were so impressed that they have allowed the school to name a new puppy which will be trained to become a guide dog. We have given 4 names one of which will be chosen by the Charity. The names the children and school council chose are Bromley, Heath, Heathley and Quaker. We will find out which name has been chosen once the puppy has been born. All of the children took part in our annual sports day again this year. 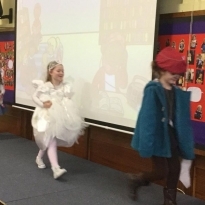 The children moved around a carousel of activities with their class. 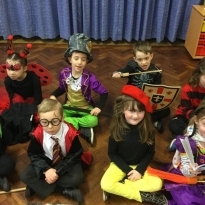 Their teams competed to be 1st, 2nd or 3rd for each activity and the scores were collected by Mrs Perkins our school administrator, who revealed the winners at the end of the event. Everyone then took part in a running race and the 1st, 2nd and 3rd finishers were presented with a certificate. The children had a great morning supporting their team mates and challenging themselves to be the best they could be. Well done to Green team. We all had fun in the sun at sports day. 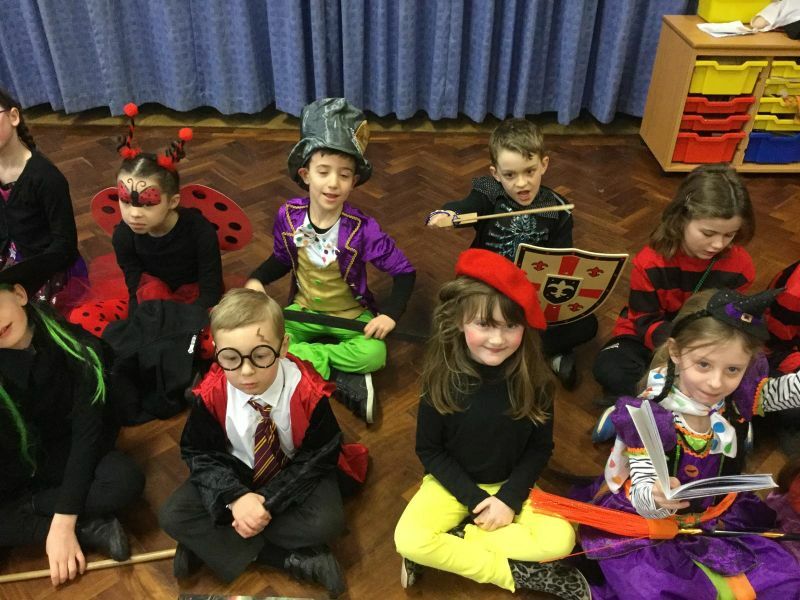 Have a look at some of our pictures. On Friday 28th April the Infants and the Juniors worked together to explore different science experiments. Year 2 and Year 5 completed the ‘Spaghetti Challenge’. They had to build the tallest tower using only spaghetti and marshmallows and had to create a structure that could hold the golden egg. Year 1 and Year 4 explored making cornflour slime. 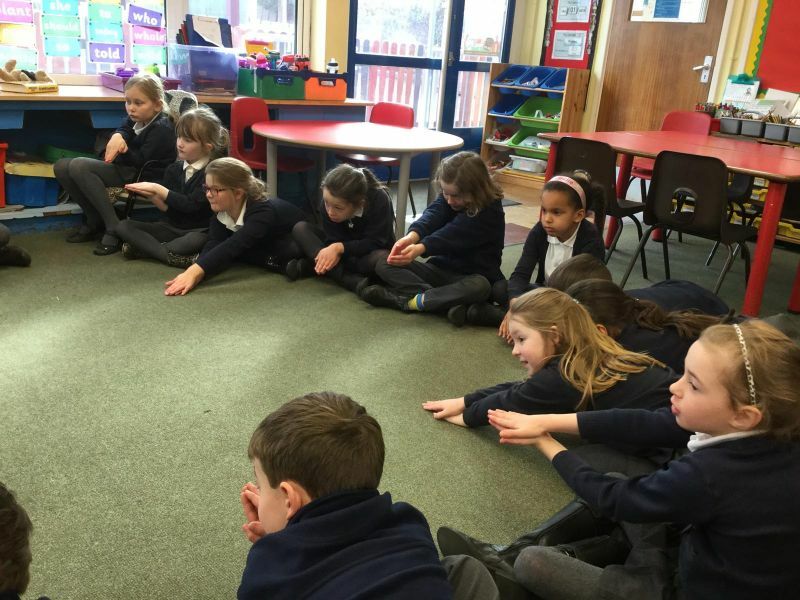 We found out what happened when we applied pressure to it by pushing, pulling and squeezing. We also made telephones using string and plastic cups to explore how sound travels. Reception and Year 6 made their own rocket mice and used plastic bottles to shoot them up into the air. We compared different bottles and how they changed the height the mice reached. 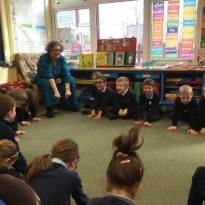 The children had a brilliant time this week when we took part in Maths enrichment activities with the Junior School. 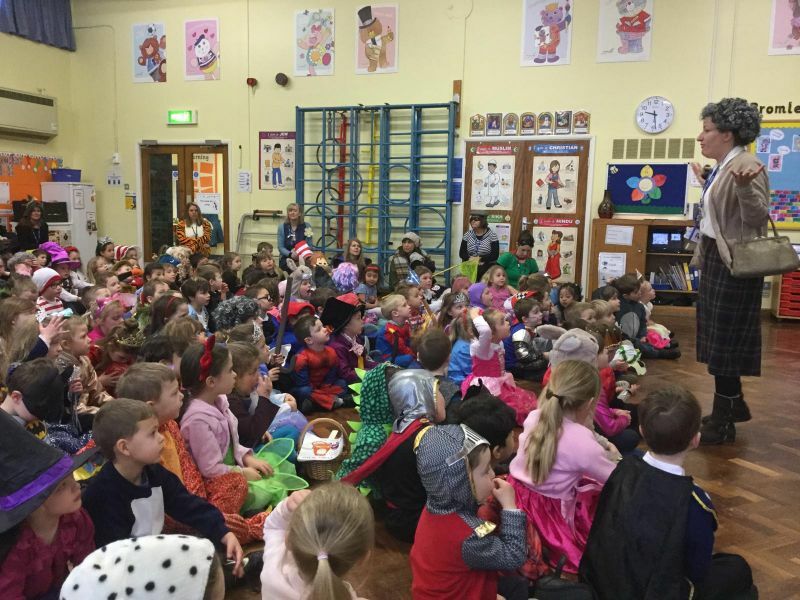 The children from both schools were mixed and some children from our school worked in the juniors and some of the juniors worked here in the Infants. The aim of the morning was to develop children’s problem solving skills and explore pattern using shape and colour. 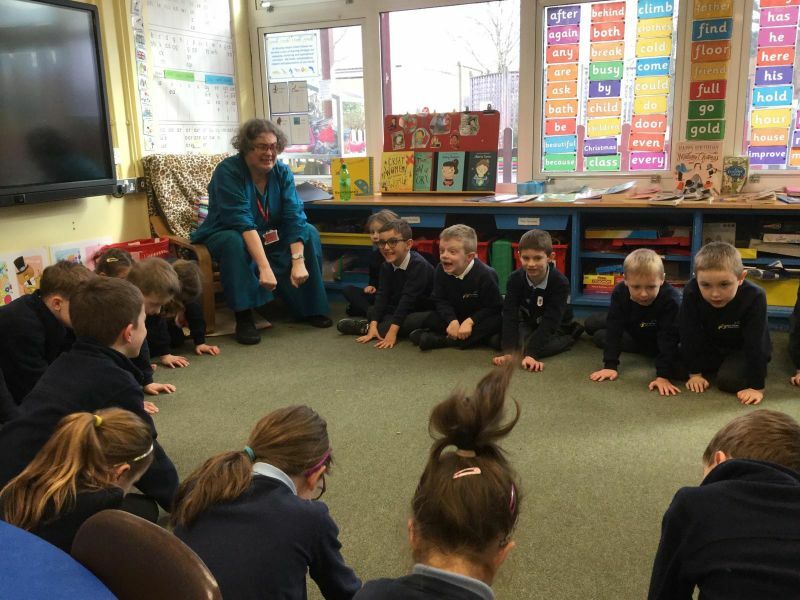 It also provided opportunities for children to work with older children and develop their ability to explain their thinking in mathematical terms. 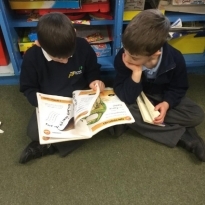 The morning was a huge success and the older children certainly enjoyed working with their Junior School partners. On Friday 11 November Daksha and Bhavna came into school to teach us all about Diwali. 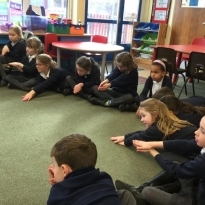 We learnt that Diwali means ‘ Row of lights’ and we found out that during Diwali, Hindus welcome the Goddess Lakshmi into their homes to bless them with prosperity and good fortune. We created Rangoli patterns, explored artefacts and and dressed up in special clothes. What great learning we did ! On Friday 9 September, Year 1 and 2 went on a walk around the local area. The walk was to help us learn about the geographical features in our locality and also, to spot any clues about its history. We were amazed when we bumped into lots of famous historic characters. Lettice Curtis. A local lady who flew Spitfire planes in WW2. W G Grace, who taught us how to play cricket. K Brunel, who told us all about why he built bridges, railways and ships. Ruth, a Quaker, who taught us that Quakers believed in fairness. Tobias and his chicken Lavender, who told us that all the land around our school was once farmland. Ruth, a nurse during WW2, who worked at the WW” hospital in Cleeve Wood. We all really enjoyed our walk and learnt lots of new things about our local area. 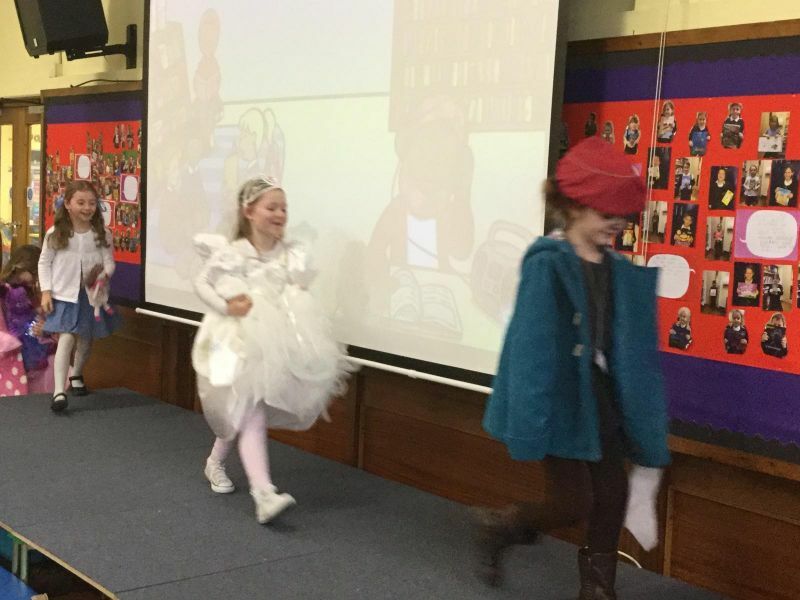 When we got back to school we did some drama and mapwork workshops which we also enjoyed very much.